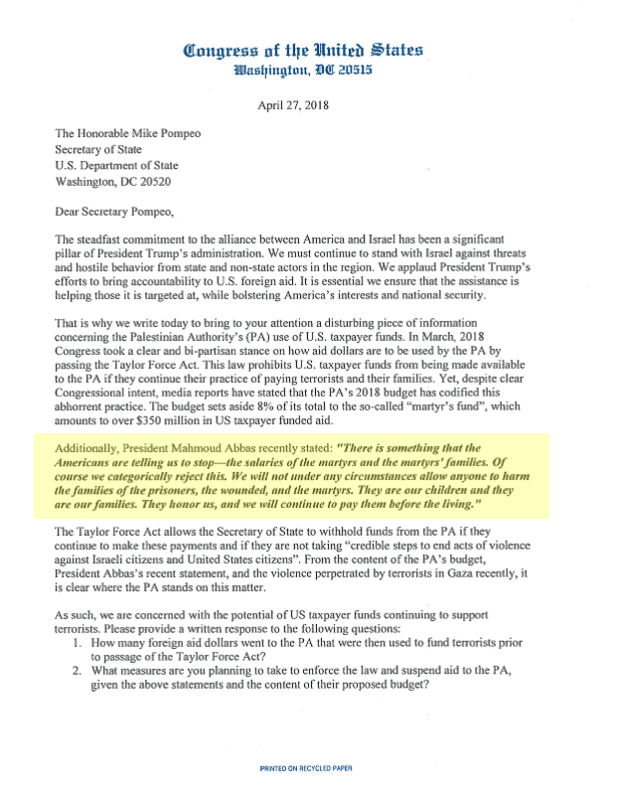 Last week, Palestinian Media Watch sent a report to US Secretary of State Mike Pompeo with copies to members of Congress documenting that the Palestinian Authority had failed to implement the four conditions demanded by the Taylor Force Act, and thus were ineligible for further American funding. "There is something that the Americans are telling us to stop - the salaries of the Martyrs and the Martyrs' families. Of course, we categorically reject this. We will not under any circumstances allow anyone to harm the families of the prisoners, the wounded, and the Martyrs. They are our children and they are our families. 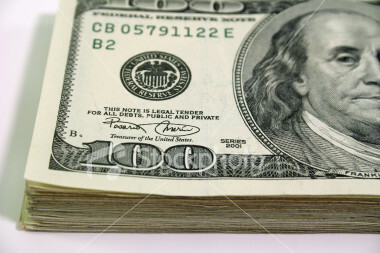 They honor us, and we will continue to pay them before the living." 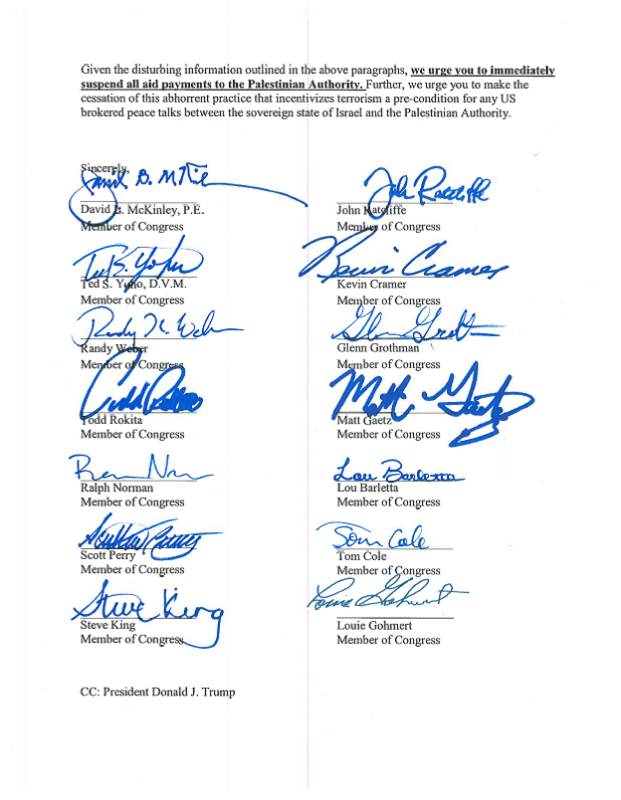 This statement by Abbas from PMW's report openly rejecting the American request and the terms of the Taylor Force Act was quoted in its entirety by the 14 members of Congress in their letter to the Secretary of State (see yellow below).